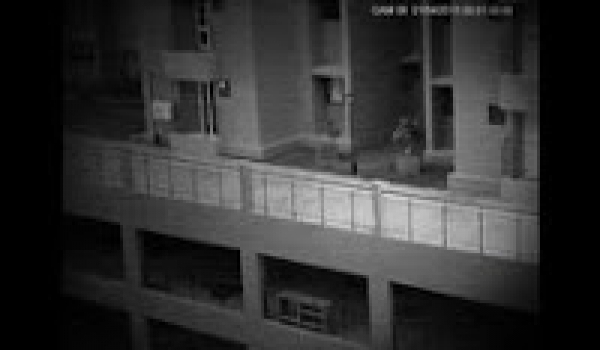 Caught on camera: A CCTV security camera in a apartment building captures a ghostly figure walking around at around 3:00am at night. Look at the lower left corner of the video to see the ghost. A person died in that parking lot 1 month before from a gunshot wound.